Had enough of your nine to five? Give business the boot in a quirky physics-based puzzle game, exclusive to PlayStation VR. Help a disgruntled salary man escape the trappings of corporate hell in this satirical physics-based puzzle game. 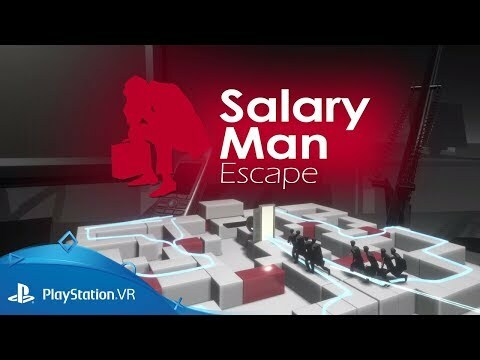 Use skill, strategy and the power of PlayStation VR to help a desperate salary man get away from his torturous life, in this satirical physics-based puzzler. Manipulate blocks and platforms to create an exit route for the beleaguered employee through 78 fiendish levels, complete with cheerful Japanese ‘80s-inspired soundtrack. 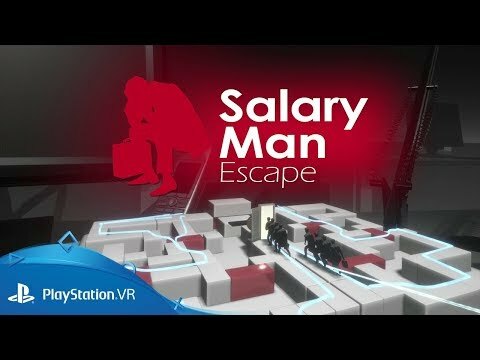 Download Salary Man Escape on PS4.